Join Bliss Baby Yoga Director and Founder Ana Davis to learn how to use the tools of Feminine Yoga to nurture your energy as a birth worker. Working in birth involves 'giving-out' so much to your clients. It's therefore very important to cultivate the art of self-care in order to maintain your energy in this caring-role and avoid burnout. Ana will share some invaluable tips on using key Feminine Yoga practices to support your energy and keep you doula-ing for the long-term! This workshop will involve a sample Feminine Yoga practice that features gentle yoga postures and movements (including some Feminine Chi Kung) and lush feminine meditation and breathing practices. Suitable for all levels of yoga experience or inexperience! ​Ana Davis is a senior yoga teacher with over 20 years experience and is founder and director of Bliss Baby Yoga, which specialises in prenatal and postnatal yoga, fertility and women’s yoga (menstruation and menopause), and restorative yoga, offered online, and in-person in selected locations. Ana is also a qualified Celebration of Birth Doula. 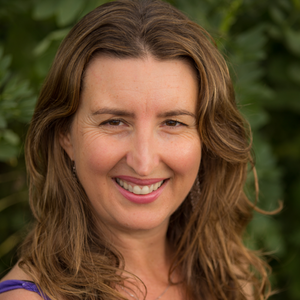 Mother to a 14 year old son, Ana has long been passionate about exploring the benefits of yoga and meditation for women’s monthly and life cycles and is excited to birth into the world her book, Moving with the Moon: Nurturing Yoga, Movement and Meditation for Every Phase of Your Menstrual Cycle and Beyondin late 2018.